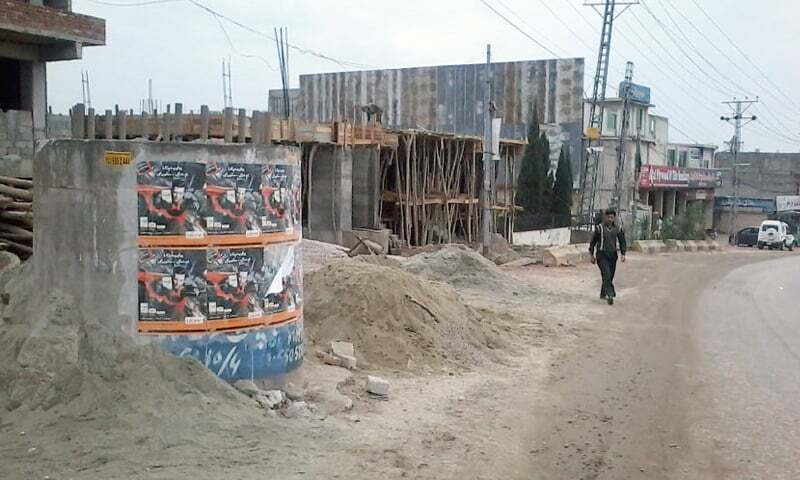 MURREE: Influential people are continuing illegal construction activities along the Islamabad-Murree dual carriageway in violation of the National Highway Authority (NHA) rules allegedly in connivance with the NHA officials. This correspondent had taken pictures of the warning board four days ago but now it is no longer there. 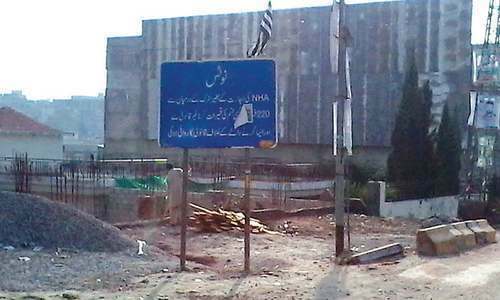 Heavy constructions also continued on other places along the highway such as Batnarra, Mohrra and Mussiyarri Manga but no action is being taken either by the NHA or the Town Municipal Administration (TMA). For the last over eight years, there has been a ban imposed by the Punjab government on all kinds of construction in the hilly resort town but influential people and big tycoons are openly violating the ban. A six-storey building, comprising commercial apartments, was constructed near Manga but no action was taken by the TMA against the builders. The construction of commercial bungalows also goes unchecked at Manga-Salkhaiter. Another multi-storey building has been constructed adjacent to the dual carriageway at Batnarra by some local influential people. Other buildings are being constructed at Danna and other places. Hafiz Saeed Ahmad, the president of a local NGO, told Dawn that influential people considered themselves above the law the authorities concerned never took action against them. He said if a resident constructs a small cabin to earn a livelihood on his ancestral land, he is not allowed and his cabin is instantly removed but big business tycoons are constructing commercial buildings allegedly on the state land. He said these constructions were not only in violation of the by-laws but also damaged the environment of the hilly areas. When contacted, Director Public Relations NHA Kashif Zaman and Assistant Director Farooq Khan said construction activities on the land acquired for the dual carriageway was illegal. They said on the upper side of the carriageway no construction was allowed within 98 feet while on the lower side the limit was 66 feet. They said in Bhara Kahu and other inhabited areas, such rules were difficult to be implemented. They said the NHA had contacted the assistant commissioner Islamabad to provide logistics and police support to launch an operation against the encroachments. They said the NHA had launched a number of operations against illegal constructions and encroachments. About the removal of the warning board, the NHA officials said the owner of the building had informed them that it had mistakenly been damaged during the construction work and would be reinstalled soon.